Historic Royal Palaces and IMG are thrilled to announce the first six concerts confirmed for this year’s Hampton Court Palace Festival. George Benson, Van Morrison, Anastacia, Caro Emerald, Jools Holland and the Royal Philharmonic Concert Orchestra will all perform in Henry VIII’s open air courtyard. Featuring artists from the world of rock, pop, jazz and classical music, this year’s Festival takes place from 8th – 18th June and tickets are on sale on now. Ten-time Grammy award-winner George Benson will get the chance to perform his timeless hits. His impressive back catalogue includes Give Me The Night, Lady Love Me (One More Time), Turn Your Love Around, and Inspiration: A Tribute to Nat King Cole. On confirming his slot at the Festival, George Benson said: "I'm looking forward to returning to Hampton Court Palace Festival. It is one of the most beautiful venues I have performed at in the world and I’m thrilled that I can perform there again this summer." Considered one of the greatest singer-songwriters of our age with six Grammy awards, Van Morrison will perform the perfect-sound track to summer with classic hits such as Brown Eyed Girl, Bright Side of The Road, Have I Told You Lately That I Love You and many more. With a BRIT award for his outstanding contribution to music he has also been inducted into both the Rock ‘n’ Roll Hall of Fame and Songwriters Hall of Fame, this is a concert not to be missed. Anastacia will make her Festival debut, treating the audience to her powerhouse vocals. She rose to fame with her first hit I’m Outta Love, which became the biggest selling single of that year. She went on to secure superstar status by releasing 5 studio albums and has sold over 30 million records to date. Performing uplifting, infectious, fun, pop tracks that make you just want to get up and dance, as well as her emotional ballads, it will surely be a concert to remember. Always a sell-out favorite the King of boogie woogie, Jools Holland will perform an energy-fuelled show with his fantastic Rhythm & Blues Orchestra and will raise the roof of the magnificent Palace once again. 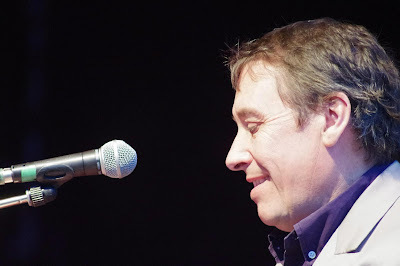 His passion for music has made him a doyen of the music scene, and he was awarded an OBE in 2003 for his services to the British music industry. 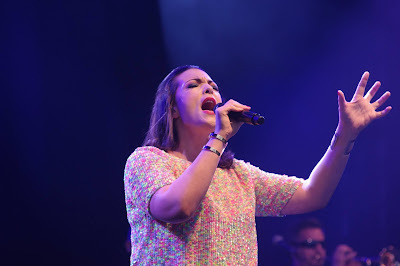 Multi-platinum selling artist Caro Emerald has a voice that oozes warmth and vitality. Since the release of her 2010 debut album Deleted Scenes From The Cutting Room Floor, Caro Emerald has fashioned her own niche. Gorgeous and stylish, Caro blends retro jazz with sampling and modern pop to create a now signature sound. Her second album The Shocking Miss Emerald, entered the Official UK Album Chart at No. 1 remaining in the chart for an entire year. With more than 2.5 million record sales, 40 million YouTube views and a host of awards, Caro has made her mark. Not forgetting their Classical evening, the Royal Philharmonic Concert Orchestra and the glorious Fanfare & Fireworks will once again play against the backdrop of the Tudor courtyard. The Orchestra will perform scores from the mainstream masters of classical music. After the concert, Festival-goers will experience a spectacular fireworks display over the Palace. Hampton Court Palace Festival is renowned for creating a truly unforgettable experience. Artists perform in the historic main courtyard of the magnificent Tudor Palace providing an intimate atmosphere for an audience of 3,000. Corporate Hospitality and VIP Packages are available in the State Apartments and Festival-goers can also arrive early (doors open at 5.30pm) to enjoy picnics on the Palace Garden lawn or underneath a luxury waterside gazebo before the show. New this year is the Champagne Concert ticket offering premium front-of-stage seating and includes a glass of champagne to enjoy before the concert. Register at www.hamptoncourtpalacefestival.com for further news announcements. *Subject to a booking fee of £4 per ticket up to £50, and £5 over £50.